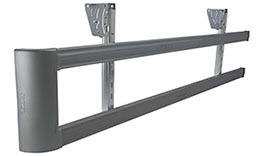 Systems are sold by length and the number of rails needed to fill the space between the front and rear wheels. Please order online or complete the contact form below for specific requirements. We will contact you within one business day. Custom Size | Fleet | OEM | Need Information?